We’ll go through a few issues where Perez has been on the wrong side of things. Defined benefit plans cost more to employers, because employers have to guarantee a fixed payout regardless of macroeconomic conditions based on a set formula. With a defined contribution plan, employers can tie their own contributions to pensions to their employees’ contributions, which means that if an employee is short-sighted and doesn’t contribute much to their pension, their employer can also avoid contributing. The retirement landscape has shifted dramatically in recent years, adding complexity and uncertainty to what used to be a very straightforward system. It used to be you worked for the same company for decades and then you’d retire with a pension that you couldn’t outlive. Times have changed dramatically. We’ve gone from 78% of workers with defined benefit pension plans in 1975 to only 33% in 2012. 401ks and IRAs are vulnerable to market volatility, so when the nation experienced a Great Recession and a meltdown of the financial markets, a lot of people were forced to deplete their retirement savings accounts–paying steep fees in the process–just to keep a roof over their family’s head. It’s clear that even though we live in a defined contribution world, all too frequently, we’re clinging to a defined benefit mentality. Our habits and our outlook haven’t caught up to the reality–Americans there are still behaving as if that check will automatically come in the mail when they’re 65. This is directly the fault of defined contribution plans–these plans did not take into account market volatility and they did not take into account human behavior. 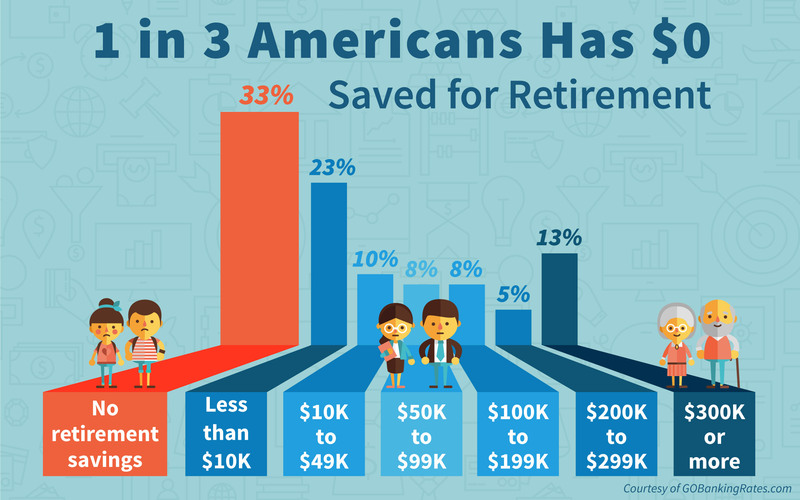 If no one makes people save for retirement, many of them won’t save much, and if people who know little about the stock market are left to make investment decisions on their own, they are likely to make poor choices. Defined benefit plans protected people by having their pensions managed by expert trustees, with a guaranteed payout even if those pension accounts were indeed mismanaged. We ought to be thinking about how we can restore stability to the pension system instead of demanding that employees stop “clinging to a defined benefit mentality” which merely claims that people deserve a reliable pension when they retire, regardless of what happens with the stock market and regardless of how much they know about personal finance. Perez would rather demand that we accommodate bad policies than reverse them or propose any bold new alternative. His biggest pension ideas are extensions of this failed system–he’s talked about introducing defined contribution plans run by state governments, many of which eliminate employer contributions completely and are entirely employee-funded. There is nothing bold about this. Perez was a supporter of TPP, the Trans-Pacific Partnership. But in most of his op-eds and remarks about the deal, Perez repeatedly claims that the deal protects workers without ever explaining how in any detail. One of the big fears with TPP is that because many countries with low wages and inferior labor laws are included, those countries will submarine the American worker, offering transnational companies cheap labor to encourage relocation. When we look at the way the TPP is structured, we see a number of issues–for instance, while the Labor Chapter of the TPP required signatories to allow for unions to form and to pass minimum wage laws, it never specifies in any detail what level of rights those unions should have or how high that minimum wage must be. The US attempted to stiffen protection with some of the countries in the deal, forcing them into consistency plans that prevent them from joining TPP until the US agrees they’ve met certain minimum labor standards. But why should we trust that the US government will hold these countries to very high standards, particularly when the consistency plans were allegedly full of loopholes? Consistency plans are an attempt to make the labor and human rights committee feel good that we talked about this, that we’re engaged in it, but a lot of it is unenforceable. There were some major labor violators that didn’t even get a consistency plan–the TPP never bound Mexico by one. Perez was sanguine about this deal, bragging about how its protections were “the strongest in history”. But this just emphasizes how much worse previous deals were for American workers and for the foreign workers who are paid exploitative garbage wages for their labor. If we don’t establish tough, fair rules through trade agreements, countries like China will write those rules. This defence is snivelling appeasement–the United States has the largest consumer market in the world, and developing countries rely on American consumers to buy their goods. China itself still has a relatively weak domestic market, particularly on a per capita basis, and relies on American consumption. It is the relatively strong labor laws and worker protections of the US relative to East Asia which ensure that American workers have enough money to buy goods produced abroad. If we were braver and bolder in trade negotiations and demanded that the countries that trade with us treat their workers with dignity in exchange for access to our massive consumer market, many countries might buckle. But we have already cut tariffs so much with developing countries through toothless GATT and WTO negotiations that our leverage is limited. Again, rather than boldly rethink our strategy, Perez just sticks with policies that are not working well and are known not to work well. Perez also has a record of being soft on the banks. In the aftermath of the financial crisis, banks foreclosed on many people’s homes, including veterans who are meant to be protected under the Servicemembers Civil Relief Act (SCRA). Over 1600 violations of the SCRA were documented. Perez was Assistant Attorney General for Civil Rights at the time, and had jurisdiction over the SCRA. He pursued zero of these violations. No individuals were convicted of screwing over these veterans. One of the individuals who profited from foreclosing on veterans was Steven Mnuchin, President Trump’s new Secretary of the Treasury. Later when Perez was Labor Secretary, he granted waivers to banks which had been involved in criminal activity, allowing these banks to manage people’s pensions. 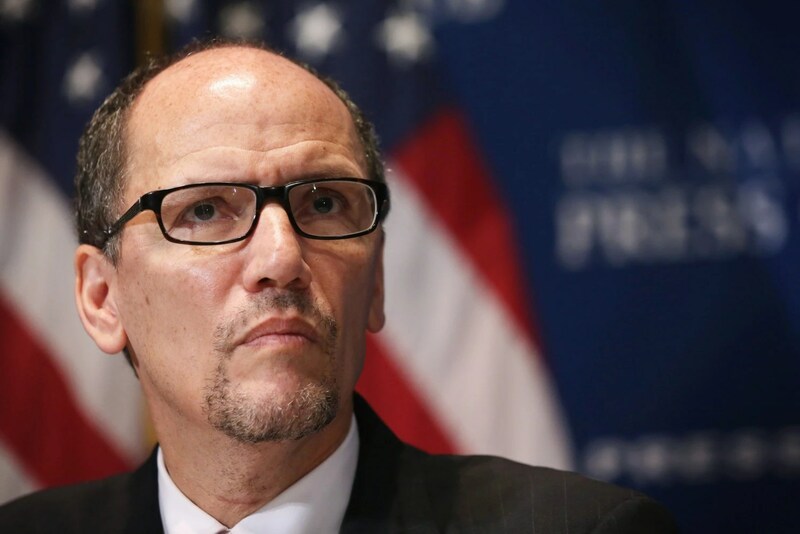 In his campaign for DNC chair, Perez talked a big game about going out and engaging with ordinary, working class Americans, campaigning in the suburbs and rural areas. But how is the party meant to inspire these voters when its chairman isn’t committed to inspiring policies? How can we trust Perez to change the way things are done when he himself embodies the way things have always been done–letting banks off the hook, backing sleazy trade deals, and supporting a pension system which is more about propping up the stock market than it is ensuring Americans are kept secure in retirement?